As part of our year long study of trees we are collecting pennies to buy a tree to plant at our school. 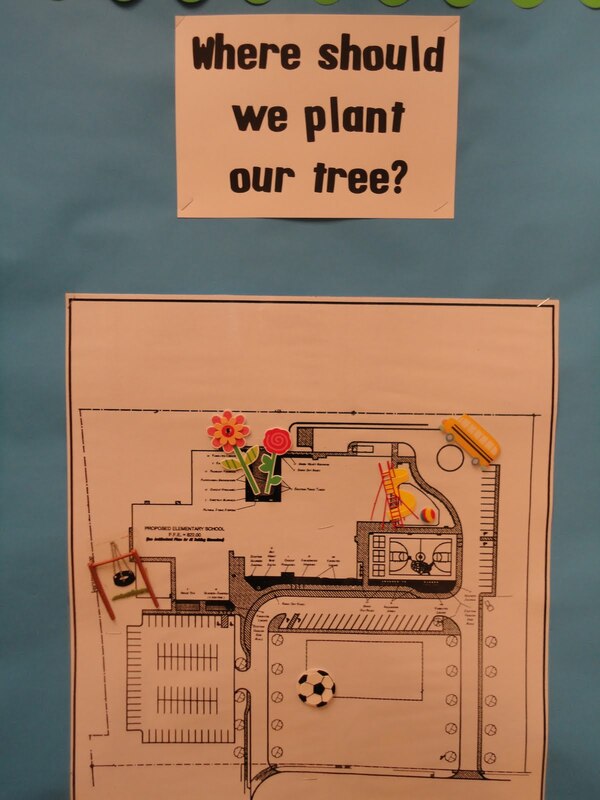 We are going to use this map of our school to choose and vote on where we should plant our tree. We are going to vote on what kind of tree we should plant. A sugar maple, white oak or a Japanese Zelkova. Here are the pennies we have collected so far. We are going to be collecting pennies until November 4th. It has been very exciting for the children to dump their pennies into the jar. Stay tuned as we make some very important decisions about our tree and find out how much money we have collected. A special thanks to Denny McKeown for working with us on this project!